As discussed in yesterday’s post I decided that as well as making the Vitarium Christmas cake I would try and make one from scratch. 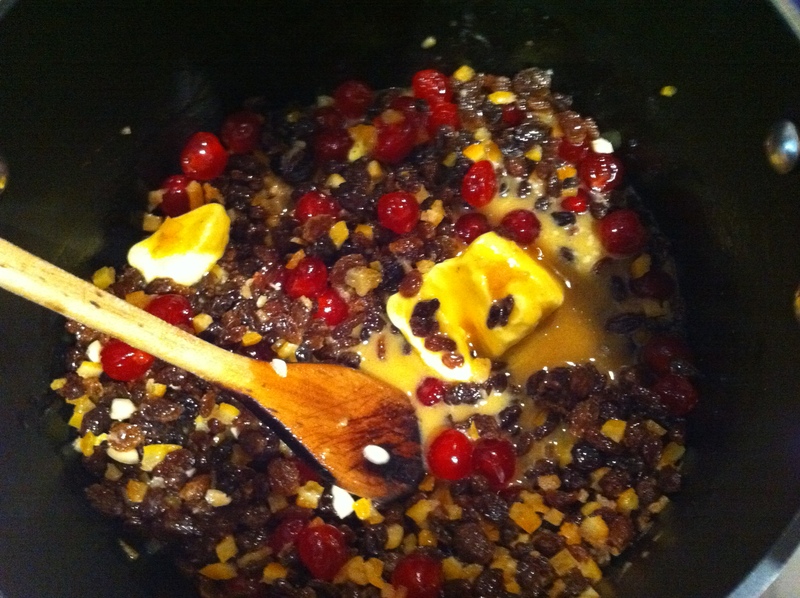 The recipe which I used was given to me by my Aunty and it was very easy – almost as easy as making the Vitarium Christmas cake. I left it in the oven for a bit longer than I should have, worried that it wasn’t sticking together properly however once I took it out of the oven and it cooled down it did so. 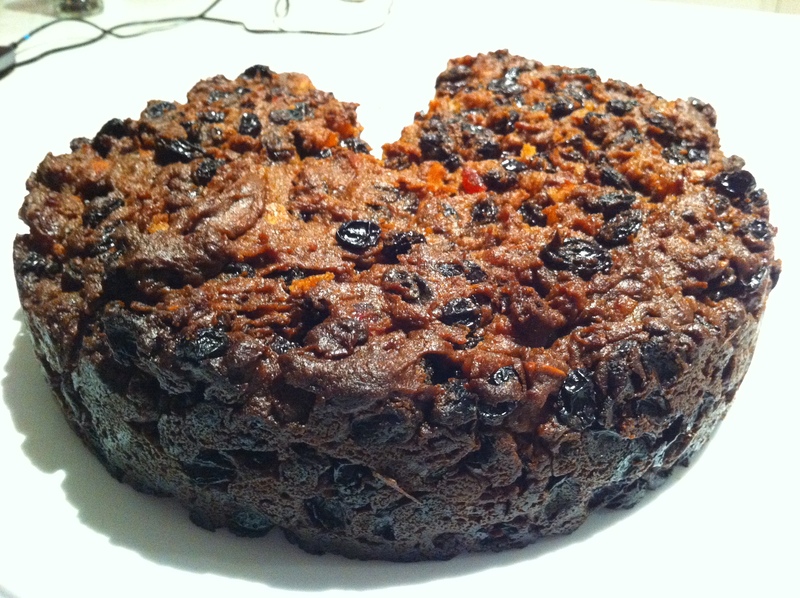 Compared to the Vitarium cake this Christmas cake is more moist and has a slightly different flavour which is probably due to the condensed milk. If you have time I would definitely give this cake a go as it is delicious. 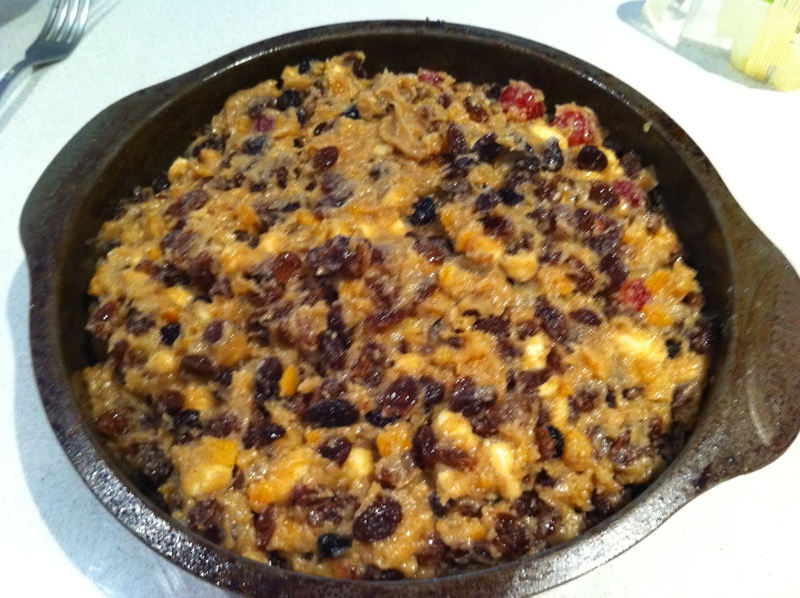 I can’t wait to make some brandy custard and eat it on Christmas day! What are you looking forward to eating on Christmas day? 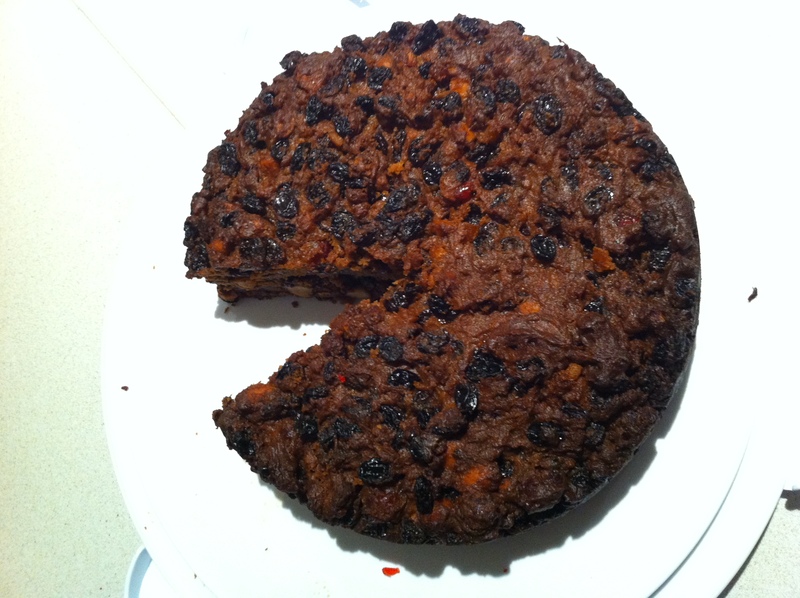 I remember trying the Vitarium Christmas cake but mine turned out a bit burnt and I did think the instructions were a little vague (and the custard was pretty bad) but it had the essence of a good cake, I think the instructions let it down. Your version looks great! Which did you prefer? I agree with you about the instructions and would definitely make my custard from scratch. I prefer my version (the one from scratch) and so did my Mum who tasted both. 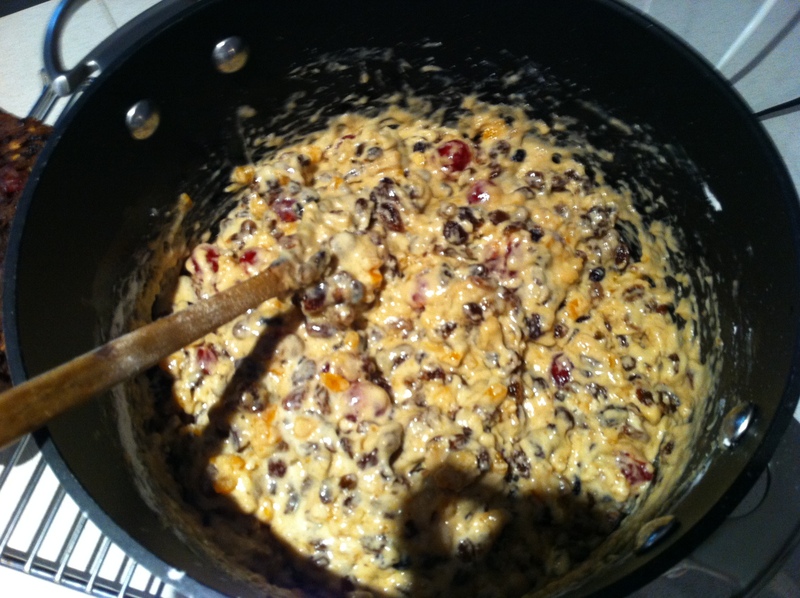 I’m not usually a fan of Christmas cake, but this is the best one I’ve ever had!